Filmmaker Park Chan-wook has made a debut as a producer for the forthcoming film "Miss Carrot" ("Crush and Blush"), raising expectations about his versatility. The movie, directed by Lee Kyoung-mi, portrays a 29-year-old Korean woman who teaches Russian in school, but confronts a slew of obstacles in her life, partly due to a frequently blushing face. The title, "Hongdangmu", means a red radish in Korean, and it refers to a Korean expression linking the color of the vegetable with a person who blushes scarlet. "This is not a movie about great action or massive sets. What the movie can show, though, is people, and my confidence in the movie lies in the talent of the actors", Park told reporters at a news conference held in Seoul on Wednesday. In the movie, Gong Hyo-jin plays Yang Mi-suk, the central character who stumbles into one frustrating situation after another. Kong said when she first saw the movie's promotional poster, she was surprised at her own face. "I was worried about the character's initial image that is far from attractive, but I later realized my character is strangely appealing", Gong said. Kong, a leading Korean actress, is widely regarded as a fashionable star. But the movie portrays her as not-so-fashionable, which might intrigue her fans. The movie involves the trouble-laden life of Yang Mi-suk, especially her fruitless searches for true love. Director Lee said the character of Yang Mi-suk suffers a variety of complexes, including her red-colored face, obsession about her health and the serious lack of confidence in herself. "The character represents a person who can be found everywhere in Korea, and I believe audiences will sympathize with her struggle", she said. 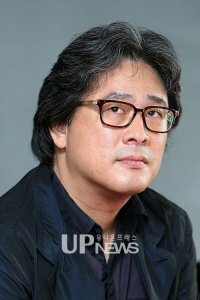 Park Chan-wook, who is now working on his next film, "Thirst", said he experienced the difficulties of financing movie. "There is a big difference between producers and directors. When my position was director, I was thankful about all the money, big and small, coming from producers and investors, but when I became a producer, I felt sorry about the insufficient funding for the project", Park said. Park said the movie's central character is highly unique. "I think Yang Mi-suk in this movie is unprecedented in the Korean movie history, and Gong Hyo-jin's acting shows a lot of subtle emotional variations, which are deeply entertaining", Park said. He also makes a cameo in the movie. Lee Jong-hyuk, who plays opposite Kong in the movie, said Korean men in their 30s might find the movie particularly interesting, without elaborating on the plot twist. Director Lee attracted media spotlight in 2004 for winning awards at the country's major short film festivals, and her first feature-length film, to be released on Oct. 16, is expected to showcase her talent.